40’ long 8’ high rockwall for lots of fun and adventures. The perfect place for kids to be kids! April 16-18 – Carnival Days! Join us for games, inflatables, prizes, contests, make your own sundaes, open gym and more!!! April 19 – The One Stop Fun Egg Hunt, Candy Scramble Egg-stravaganza!!!! Join us for the greatest Egg Hunt/Candy Scramble in history (OK, we’re a little biased) – Pre-Schoolers at 11:00. School-aged kids at 1:00. Don’t be late, as the hunt can end quickly (but. candy is guaranteed for all). 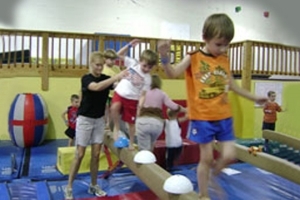 At One Stop Fun, our main goal is to provide a fun and active environment for your children. Our entire team believes in creating a fun space with activities that boost self-esteem and encourage fitness. We are fully committed to providing a high-quality experience to all of our customers and we want every customer to have a safe and fun time. We are fully equipped with a number of outstanding amenities such as an outdoor Olympic-size pool, zip line, three whole stories of tunnels and tubes, foam pit, and rock wall. Call us at (978) 692-9907 to request more information about our classes and services. Click here for our Revised 2018-19 Class Schedule and Descriptions. Parents and siblings under 1 year old are free. 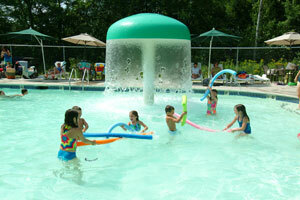 Ask about options to purchase monthly/annual memberships or passbooks in advance for big savings on your playtime fun. Whether your child is taking a class, exploring the three stories of tubes and tunnels in our Ultimate Indoor Playground, or climbing our indoor rock wall climbing structure, you will love your time at One Stop Fun. Our wide array of offerings is sure to spark the enthusiasm of children of all ages, interests, and skill levels. 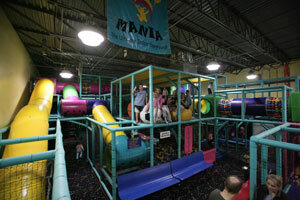 Spend some time enjoying our unique and comprehensive indoor playground for an entire day or just a few hours. When your child wants a break from playing our snack bar provides delicious options for lunch or just a snack to recharge the batteries. We have a committed staff that is dedicated to creating a positive and enriching environment for your children while they are here. As always, adults and children under one are free when you come to our Westford facility. Contact us at (978) 692-9907 to register for a class, to book a visit, or to request more information about any of our other activities or options! We are a completely nut-free facility. Out of respect for our customers with nut allergies, we do not sell or allow products containing nuts in our facility. Please, no outside food or drinks allowed without prior authorization by management. Thank you for helping us keep everyone safe, healthy and happy!